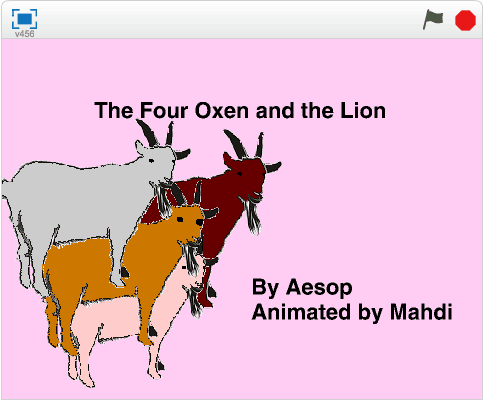 My animation is a re-creation of one of Aesop’s beloved fables. This fable features four oxen that get into a fight, leave each other, and get killed. They had to make a decision, whether or not to stick together. I really enjoyed your post because I can relate to exactly what your saying. I have read the book Hatchet by Gary Paulsen, one of my favorites, so I can see what you’re getting at. I advise anyone even more than he did to go and read this book it is a very good read. I am calmed by your poem, “Coconut Lime Breeze,” because it has a soothing theme. Especially with so much stress, this type of a theme is really tranquil. I am interested by your post, “Cinco de Mayo Misunderstandings,” because I feel your opinion is very strong on the topic. One sentence you wrote that stands out for me is: “Also what is with all the jalapenos? !” I think this is strong because I believe it is judgemental and criticism to their culture. 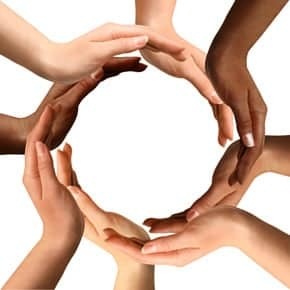 Hi, I think is extremely interesting topic to think about because it is very true that group projects no longer become fair when it comes to high school. I also have parents who stress about my grades so I feel you in that group projects should be graded based off of your assigned part instead of you maybe having to complete the whole thing on your own to get the best grade possible. I completely agree with you, as knowing you personally, I can say that we have both been put in this situation, and writing your article, “Group Work”about, the unfairness is really relatable,because I too have been put in this situation and screwed over. I think this article has some very good ideas that are very worth considering. I can relate to your post, “Group Work”, because some people in our grade in class do not do anything in group projects. There are people who let the other people do all the work, and they don’t even prepare for the presentation (if giving one).A sentence that I admired was “This will also teach people who don’t do work how to do it.”.I liked this line because if people are graded individually, people will really start to care about what they do. I agree with you because people take credit for work they don’t do. Another reason I agree with your claim is because parents can start to micro-manage your work if they find out you are doing group projects alone. I enjoyed this interesting piece. I totally agree with your post. Their are those times where you have to do everything and it can be very frustrating. When you have to present your response and its your partners turn to talk they don’t know what to say. Blabber meaningless words only that you realize that your grade is about to drop and everything is about to go terribly. I am in agreement with the fact that youths do not have to join gangs, “Gang Violence,” because they should be unique and not have to follow what peers force them to. This will also lead to world corruption by the day. Mahdi by is licensed under a Creative Commons Attribution-ShareAlike 4.0 International License.